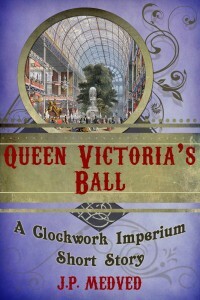 Queen Victoria’s Ball is now for sale at Amazon! It’s an 8,800 word steampunk adventure set in Victorian London. Can our heroes prevent a devious assassination plot before the British Empire is brought to its knees?